Britain’s parliament is set to reject Prime Minister Theresa May’s deal to leave the European Union. The vote will offer few pointers about which alternatives they prefer, but will force politicians to test other ideas. With 73 days to go, their options are rapidly shrinking. Britain's Prime Minister Theresa May speaks at Prime Minister's Questions in the House of Commons, London, Britain, December 12, 2018. British Prime Minister Theresa May faces the prospect of defeat in a historic vote in parliament on her Brexit deal on Jan. 15. 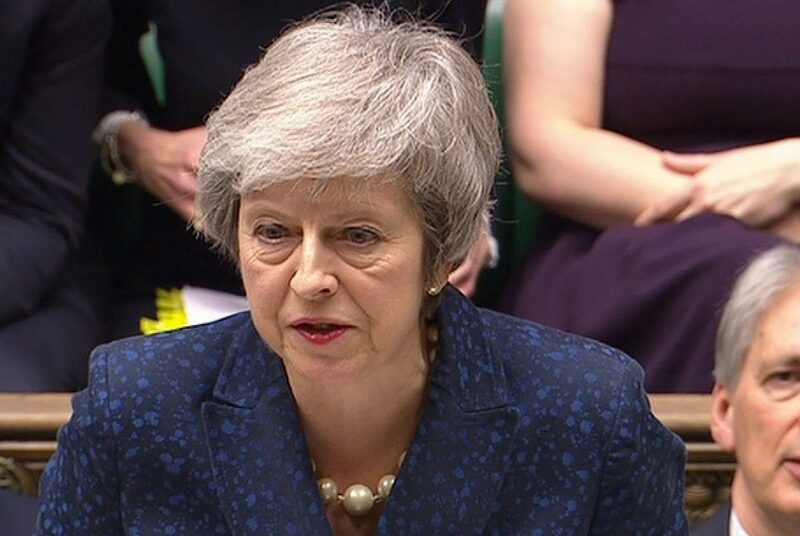 May on Jan. 14 urged lawmakers to take a second look at her deal but parliament appeared set to reject the agreement in a voting session due to begin at 1900 GMT. The European Union on Jan. 14 told May that it stood by commitments to try to reach a post-Brexit trade deal by the end of next year in order to avoid using the unpopular “Irish backstop”. The pound was trading at $1.287 by 0900 GMT on Jan. 15, up 0.2 percent.